If you own a small business, or even if you’re a one-person operation running out of your house, you know how important it is to maintain an upbeat, inspired mindset. During those times when you could use a good, instructional pep talk, you should listen to TED. Who is TED, you ask? TED is not a who, it’s a what. TED is an acronym for Technology, Entertainment, and Design. And TED talks are presentations that run 18 minutes or less, and have featured such luminaries as Stephen Hawking, Bono, Bill Clinton, Jane Goodall, Al Gore, J.J. Abrams, and the founders of Virgin, Google, Microsoft, Wikipedia, and Amazon. Now it’s time for you, the business owner, the entrepreneur, to benefit from TED talks. Here is a quartet of some particularly appropriate talks. 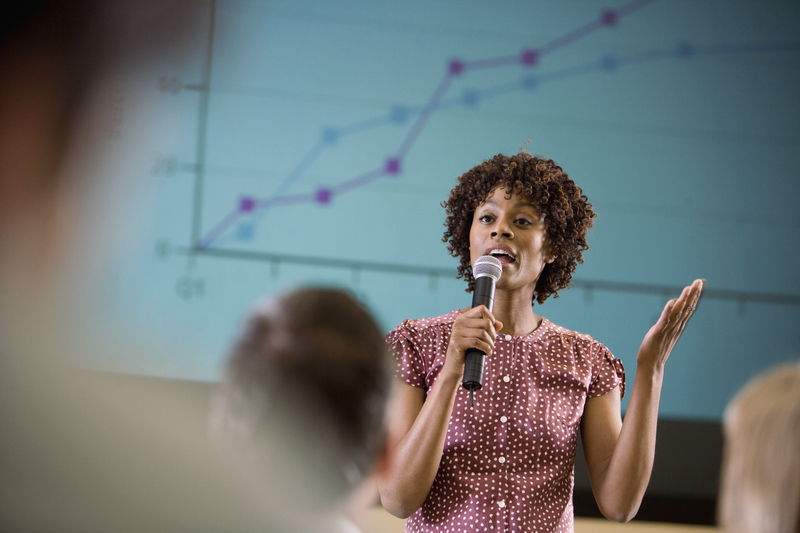 When you finish with the listed talks, check out the article “7 Must Watch TED Talks for Local Agents And Small Business Owners” for some more. After all, there is no such thing as too much inspiration or good advice! You knew this all along, didn’t you? Workplaces are where enthusiasm goes to die, meetings are time-wasting, spirit-crushing exercises in uselessness, and the term ASAP is a killer. Jason Fried, co-founder and president of 37signals, not only explains why this is, but also gives three suggestions for how to change things for the better. How do you become successful? Is there a special quality or gift that you must possess? Author, speaker, and success analyst Richard St. John asked over 500 successful people how they achieved that success. St.John noticed that there were certain traits common to these people, so he distilled the information down to eight secrets. Now’s your chance to get in on the secret! Dan Cobley is a marketing director for Google. You would think that physics and marketing would go together like peanut butter and printer ink, but Cobley manages to bring the two subjects together convincingly, providing a fresh take for companies whose marketing promotions need a positive jolt. Nobody wants to be “that person”, the one who raises an objection and disrupts the perfect unanimity of the group consensus. The problem is, sometimes everyone just goes along and agrees with what is otherwise a bad idea, just so they don’t make waves, a practice that could have disastrous consequences for a growing business. Entrepreneur Margaret Heffernan discusses why people need to speak up and create a dialogue with those whose ideas and backgrounds are different. After you finish these eleven useful talks, check out YouTube and look for more. You’ll probably end up finding out that there are more talks out there than you have time to listen to!